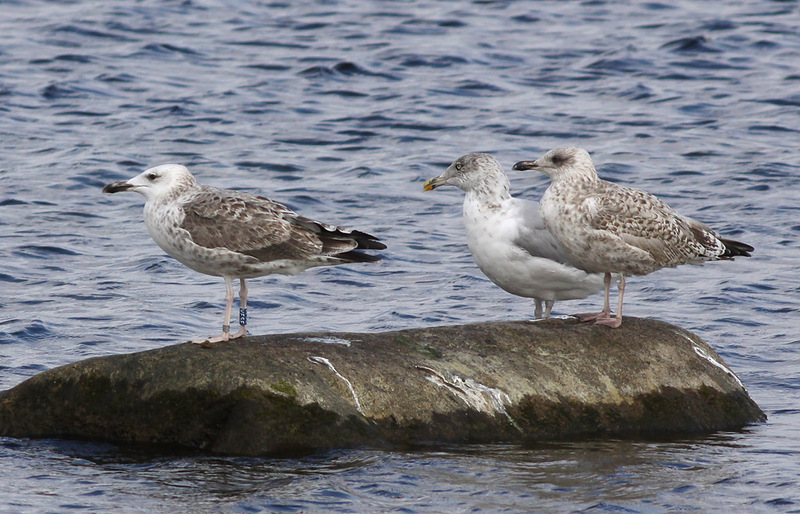 Larus cachinnans 2cy V555 September 06 2011, Simrishamn, Sweden. Picture: Jörgen Bernsmo. It was ringed in Denmark in winter. Last phase of complete moult. P8/-. With 2 Herring Gulls.